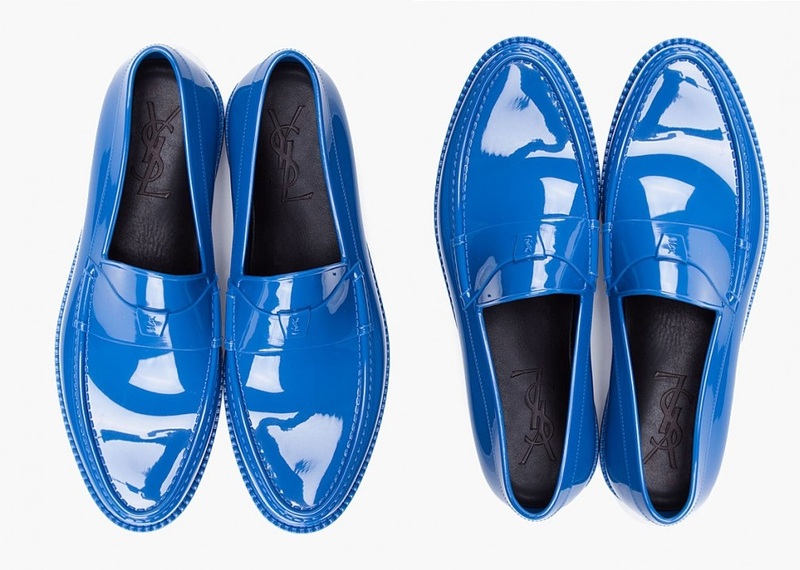 YSL RUBBER SHOES - And I was like...... this is a cool idea, while rain falling down and not in the mood for any leather shoes, because it is too precious to be dirty. This Yves Saint Laurent, yes it is 2012 collection by the way, with so many colors available and my choice is this blue or black, this is a major way out. With specific material using all over rubber as exterior and leather interior for comfortable matters, of course with more affordable price. Talking about rubber shoes, it so reminds me when I was working in the field (hahaha again). Yes, safety boots for daily wear which is not stylish at all, when it comes to do my job such as preparing, executing and the most "rubber boot shoes" moment is after job, because you need to cleaning everything include cleaning a ship, big ship, an entire barge floor because so many chemical spills, sand, poison, foam etc etc oh such a memory. 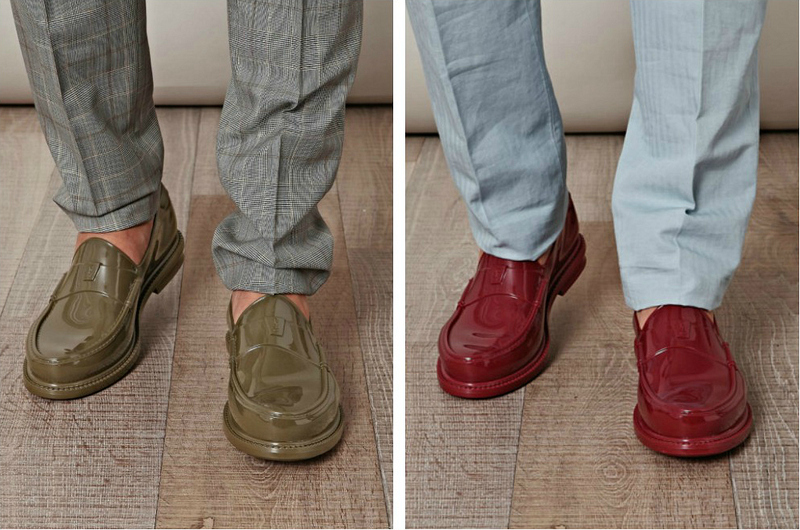 Now, once again I want to wear a rubber shoes, but this time is Yves Saint Laurent (or Gucci or Vivienne Westwood - as seen on my LYST). Although in my opinion the YSL logo is better if made of metal, I just in love with the blue or black in the second place. Well, now we need a manual for "How to Caring Your Rubber Goods"
This shoes is the answer for every guy in Indonesia to keep stylish with "becek" condition haha. lots of loves on these shoes! love so much the blue ones!